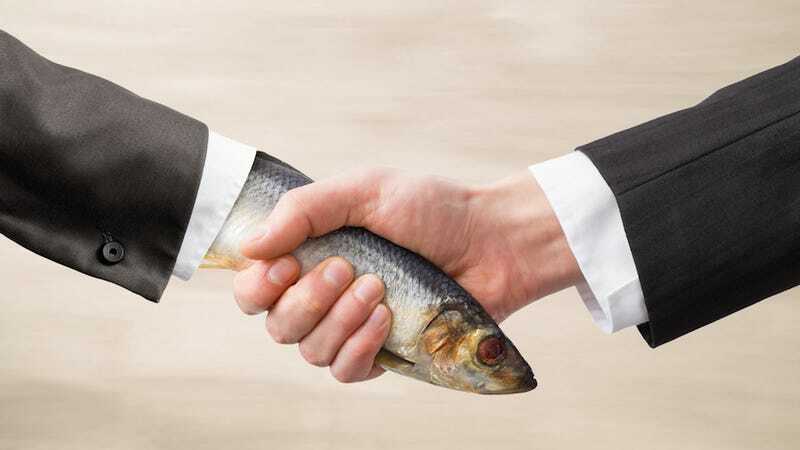 Do you smell your hands after a handshake? Me, I don't. But science wants us to believe this is a means by which humans "sniff each other out." How, and what? In other words, humans literally sniff each other out upon meeting, much like animals do, writes lead author Idan Frumin and a research team in a new paper published online this week in eLife, an open-access, peer-reviewed journal. There's an experiment to back this up: researchers shook hands with 153 people and filmed the aftermath. This behavior, albeit weird, isn't that surprising given that we are all gross animals. If you find yourself mid-sniff, just know it's okay you're probably normal.